Tom Cochrun /Light Breezes: WHERE WAS THE COVERAGE? 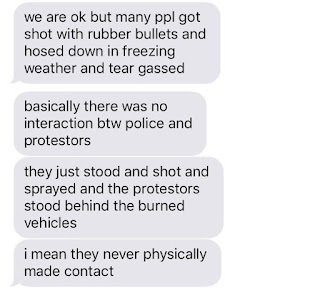 An historic and brutal confrontation played out in North Dakota and most of the media was missing. 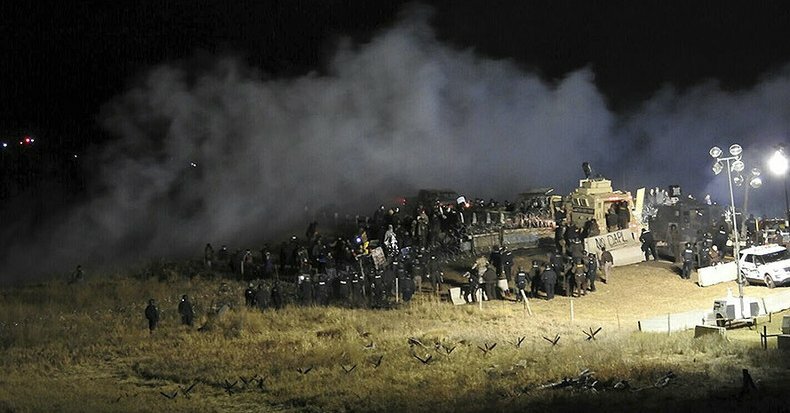 The Standing Rock action against the DAPL (Dakota Access Pipeline) was met with tear gas, rubber bullets and water cannons in sub freezing temperatures. 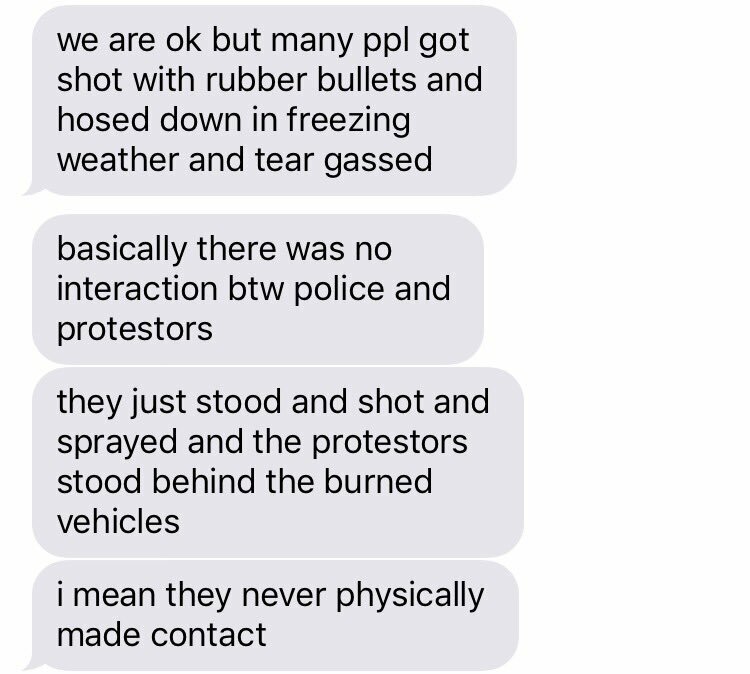 Hundreds of people were attacked by police and security. Here's a sample of the Twitter feeds that kept people informed. There are several strands to the controversy that make this newsworthy. More betrayal of Indian rights, legal challenges, the determination of those who are there to protect water and land rights, behavior by private security and the impact on the pipeline. Many of the posts questioned why major media have ignored the story. I wonder that as well. Given the media's current penchant for visual events and the sensational, I'm curious why the dramatic confrontation didn't get attention. The Standing Rock occupation and protest carries a link to the founding of the American Republic. It's time it gets more attention from major media. Fortunately social media helps fill the information gap. Interesting that neither presidential candidate mentioned this stand-off during the campaign. A topic much like climate change, in the "forbidden zone." A sorry statement. I've been following it somewhat; it's been 'below the fold' in most newspapers and agencies. Democracy Now has probably had someone on the scene for most of it, and the best coverage. This may be what our country is like for the next couple years. The press, as you've noted, kowtow's, or at least follows, the current right wing power groups wishes in coverage without being too obvious. I wish Hunter Thompson was alive, and in his prime. Wouldn't you like to hear what the good doctor thinks of all this???? Tom, any candidates for Dr. Gonzo out there? Matt Taibbi, who writes for Rolling Stone, is a gutsy, pull no punches reporter. Dr. Gonzo was a unique dude and finding an heir apparent may leave us wanting. The Bismarck Tribune, which is the closest newspaper to the event, has been providing excellent coverage throughout. The mainstream media is too busy not covering the police officers getting assassinated. But in all fairness, they are also busy covering the whitening White House. BTW - The latest DAPL was covered by the Washington Post just today. In a way it's like the 1930s when police, and Pinkertons, and even National Guard units brutalized strikers and got away with it. The powerful ain't likely to give up any slice of the pie. A lot of big money is in play in the DAPL. I heard a report today saying the President elect's business interests include a piece of the operation.